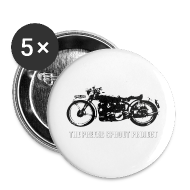 What is The Prefab Sprout Project? A global fan collective, coming together to write and record a minimum of 12 original songs that embody the sound of Prefab Sprout. A celebratory record written by fans and for fans of this wonderful musical group. The final product will be more than a tribute album, every song will be original from the ground up, though purely influenced by the sound and style of song writer "Paddy McAloon" and his great band - Prefab Sprout. Can Anyone Contribute Ideas To This Project? Yes, that is the entire point of this project ...and the best part! We encourage any and all fans of Prefab Sprout to submit ideas, lyrics, music or even cover art . Every idea submitted will be carefully reviewed by our Creative Director, who will compile the best ideas for our root house-band to bring to life, record, sing and finally mix for this "homage" CD. Of course, not every idea can make it onto the project, but we will make sure that the best ideas are realized and added to it. We are shooting for excellence. We want to create an album of songs that will try to rival Prefab Sprout and hopefully make them proud to have such awesome fans! Nope. It is absolutely free to anyone willing to contribute their time and talent. However, at some point we will being doing a fund-raiser over at Indiegogo.com. We will keep everyone updated when that happens, as there will be some cool incentives for those who pre-order the CD via Indiegogo.com. Will I Get Credit For Music or Lyrics That I Contribute? Yes, you will get credit for anything you have submitted that gets used for the project. We anticipate a bit of mad scientist "Frankenstein-fusion," -meaning we will probably pair music and lyrics written by two or more people to create one great song. For more information, please read our terms and conditions. I'm Not a Musician, Can I Contribute? Yes! If you feel you have written some great lyrics, please upload them to us via DOC format or you can cut and paste them into the comment field located here. If we think you have something ideal for the project we will pair your lyrics with music that was either submitted by another fan or we will write music for it ourselves. And that goes for music submitted without lyrics -- same process. What Era of Prefab Sprout are You Writing For? Well, we had covered much of the Sprout era's with the first two releases, but, this current project/album will be designed to sound specifically like the album, Jordan: The Comeback. We are using that album as our current template, and we hope to mirror Jordan in many ways. I Play an Instrument, Can I Contribute to The Recording Process? Yes, there will many musicians involved, but if you play an instrument that lends well to a song and you have the appropriate recording gear, i.e. Pro Tools, Logic, Cubase, Sonar or any of the major DAW software, and not to mention a quality microphone -then you are good to go with us! Just shoot us an email and we will sort out the details. Recording Specs: 24 bit/48K. This is an Ambitious Idea, Has This Ever Been Done Before? Sort of. The band XTC did something similar with their alter-ego band, "The Dukes of Stratosphere". Bleu and his project/album, "LEO", which sounded a great deal like ELO. The Spongetones with "Beat and Torn", an exceptional album where every song sounded like a lost Beatles hit from 1964. 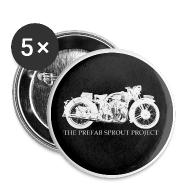 And, we (Sproutless) released two albums at the end of last year ....The Prefab Sprout Project. Who is Recording and Singing The Songs For This Project? The songs will all be recorded by Scott McPherson in his home studio. He will also be singing all material chosen, and although his vocal style is very similar to that of Paddy McAloon, he will not be trying as hard to emulate Paddy for this particular album.. And lending her "Wendy Smith" like vocal will be the extremely talented Andrea Perry. Check out the bio's and audio clips for both artist - found here on the Bio page.